- Another case of an artist coming to the fore many years after the event. 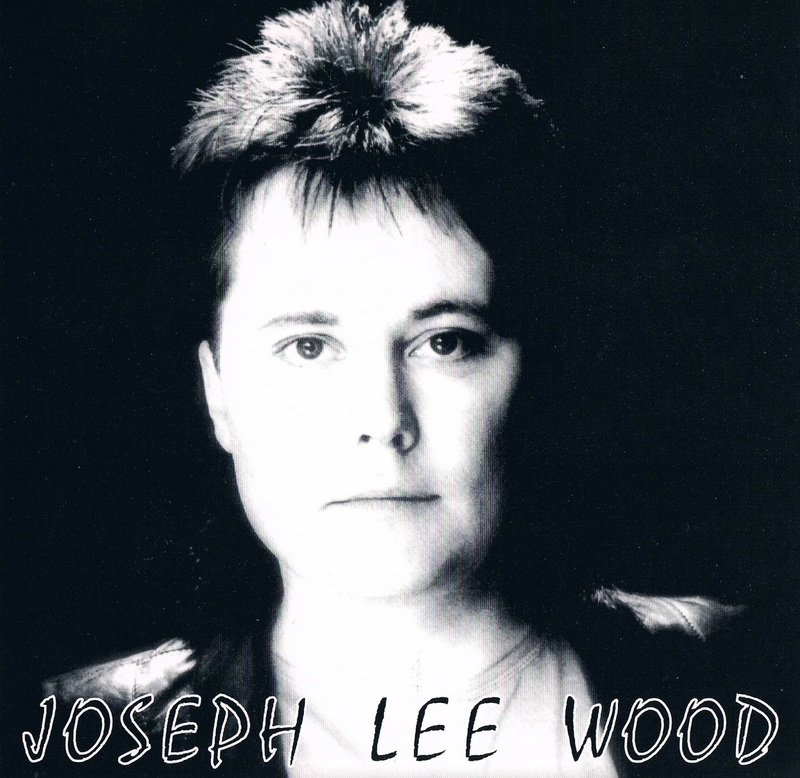 Or as in the case of Joseph Lee Wood.. 'perhaps crawling out of the woodwork?' Excusing the pun, this is some seriously pure AOR, and ironically, you won't find any band or artist of the current brigade doing stuff like this anymore. Even if they were, it wouldn't sound half as good as this. Joseph hails from Washington state, and has been on the local scene in one shape or another for years. After spying reviews on some European sites, it was bemusing (and somewhat confusing) to read how they compared every band in the AOR Universe with JLW, none of whom I would have used as a reference points.. thats for sure. Hearing is a funny and personal thing eh? When I think of pure AOR, I zero in on an outfit like Beau Coup.. and that's perhaps the closest similarity I can throw in the hat after playing this CD at least four times before putting finger to keyboard. As this whole effort was originally timebound from 1989, other contemporaries from that era drift across the ear as well. Hints of Stan Bush, Rick Matthews and the Canadian brothers Worrall come to mind.. that whole AOR riff/keyboard interplay scene is recreated here once again, while Joseph's vocals are in the same style as Marq Andrew Speck from Sweet Crystal(previously featured here at GDAZE), though in a slightly higher register. So if that little introductory scenario is enough to tease you, then why didn't some A&R klutz at a big record company pick up on JLW at the time? The keyboard tinkering on opener 'Don't Stand So Far Away' is a Beau Coup deadinger. This is probably the epitome of American AOR, and it's fortunate we get to hear it early on in the piece with this album. 'Flirting Eyes' is prime-time heartland melodic rock a la Rick Matthews. If you're a fan of his 'Only The Young' album, then this is up your alley. Like a Mailman in a hurry, the delivery on 'When's The Last Time You Felt A Woman' surges to category 'urgent'. Melodic as hell, though the songtitle is a bit suspect. Surely it's not about cross-dressers? Just kidding.. Musically this one is great punchy stuff. The tempo is turned down a notch for the melodrama of 'To Have And To Hold' (no.. not The Storm version), balladry with class is probably the best way to describe it. The next pair are killers: 'Won't Stop Loving You' is an amalgam of Worrall and the aforementioned Rick Matthews, though Greg Fox's keyboard work is deadset 1980's. The track 'Love Is The Light' does indeed shine some brightness on precedings. This one zeroes in on Stan Bush And Barrage territory, though in a less heavy-handed way. The out-of-sorts 'Talk To Me' has a Eurhythmics euro-pop feel to it.. slightly out of place in comparison to the rest of the album. However, things are back on track with the racy AOR of 'Love You Like I Love You'.. complete with tinkly keys and striding guitars. The Beau Coup soundalike competition comes home to roost again on the suitably titled 'Time To Come Home Again'.. Try humming this along to B.C's 'Sweet Rachel' or 'Jane' and I'm sure you'll get the picture. To top it off, the track 'Letters In The Rain' feature the guitar-tones of Smith and Randles who do the Scholz/Goudreau thing a la Boston, as though it's a throw-back to the long lost tradition of 80's AOR. - *When did you start playing music etc.? I grew up in the small eastern washington town of Walla Walla, WASH. a town known world wide for it's onions. Now they have intenationally praised wines such as leonetti, cayuse and many others.This town had some of the greatest guitar player i've heard. I started out as a bass player/leadsinger playing in local dance and club bands. Even from the start I was always alweays focused on writing my own material but also realized the learning process and so I played in half cover half origional bands. I soon moved to guitar and lead vocals and that was fun for a while. Then my eyes were opened when I met and saw Steve Wash from KANSAS. Music was changed for ever. I saw orchestrated rock as the future and so I bought my first hammond organ and moved to keys and lead vocals.with the addition the next year of a wurlitzer piano I thought I was rocking. Some ex members of the RON GARDNER GROUP (MCA) heard about me and drove across the state to try me out. I sang ( fooled around and fell in love), Mickey Thomas and the hired me and I moved to Seattle,and started playing night clubs there. That was 1976 I played in the last incarnation of VENUS AND THE RAZORBLADES that year. Even though we had been offered an album deal on a canadian label based in montreal internal problems broke up the band. I went back to Seattle and put together BABY GUNN. This band was a highly talented young for piece band and everybody sang so the energy combined with power and tight vocals made this band a westcoast and rocky mountain favorite. Egos caused the band to break up on our way to L.A. to record our first album in 1979. I was told later that we would have been the second band on GEFFEN behind JOHN LENNON. An agent friend from denver colo. told a band in Chicago about me and they flew me in and I joined LOIS LANE. This band and SURVIVOR were just a handfull of midwest acts close to bigtime. Egos once again prevailed and I ended back in denver working on an album with JIM MASON who produced FIREFALL and BAD COMPANY. The JOCKS were just like the OUTFIELD only two years earlier. This time greed prevailed and. I then did the vocal tracks for bloodrocks keyboard player which was produced by BEAU HILL (RATT, WINGER, WARRANT) but I wanted to come back to Seattle, and there I put together 24K and we headed north to Vancouver, B.C. to record at MUSHROOM recording studios and were produced by KIETH STIEN ( LOVERBOY). Kieth had approuched me about playing for JERRY DOUCETTE, and then TROOPER but I had the BABY GUNN deal. This band fell apart due to poor management and then I met a producer who had been a vice president of ABC/DUNHILL and UNIVERSAL. His name was NORMAN RATNER (THE HUGHES CORPORATION, LOU RAWLS, 707). Together we produced the CD that you here. I signed a management deal with sound city studios and CARMAN PRODUCTIONS who handled RICK SPRINGFIELD and about 8 other majors.It finally seemed like I was on my way. All the major labels were interested but they just sat on the album and squabbled over % and the album fell through the cracks and I thought here I go again. So dissalusioned I had to get away from the buisness all the time though I knew that I had retained 100% of my rights to the album. That's the last 25 year saga. *Can you tell us about your first recordings? The very first recording was a 45 for a leasing company called ACCENT RECORDS based in L.A. We did this even though we had a couple of major label offers because back then the majors were really ripping off there artist. The single was IN THE BACK OF MY HEAD. It got more airplay on the westcoast than the local major label bands did and that is what lead to the pending BABY GUNN deal. *Please tell us all about that first solo-CD of yours? When I met NORMAN we hit it of and I had done an arrangement for another artist that he was producing and he said write me an album. so I got busy and wrote the songs in two months. Marty randles and I did all the preproduction in his back bedroom 8 track andnthen we took it in to triad. the first 5 songs were completely recorded by Marty and my self as I did all the keys and vocals and he did all the drums bass and rythm guitars but we also used skylar on guitar and he did great solos. bet you couldn't tell that the first 5 songs were drum machines sequenced. that took about a week including mixdown. We had to be very efficient in those days because of studio cost. Then we put the band together and did the second 5. *How do you look back at this CD and it's recordings from 1989? After all that I had been through I thought that finally this was it. This album was my heart and soul and every thing that I had worked for for 15 years. It was real dissapointing that ones music can be used and abused. *I heard you're working on a new CD, will this be in the same classic AOR style as your debut and just tell us all about it (songs, style)? Yes it will and also it will have a broader sound, bigger in some ways. 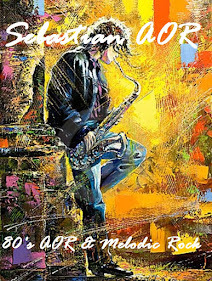 Also I am covering the BABY'S hit in Holland years ago called PIECE OF THE ACTION a song written by MICHEAL JOPP for a friend because it's rings so true to my lfe. It has almost a metal edge on one song but big production rock. It also has some crossover ballads. by the way this CD is recorded in my studio and I did all the bass/ keys and vocal tracks lead and backing and I used three other guitarists although I did some of the guitar work myself and DON HILL one of my partners did all the drums and percussion.I am also engineering and producing it. *You released the CD on your own label, please tell us more about it (start of the label, included bands/artists etc.)? Well an old booking agent friend of mine told me 15 years ago, if you want it done right you have to do it yourself. so when one of my partners John called me, he said joe it's time to get over it and release the album. He brought THE RED SECTOR to me and I loved them and then Kelly from RAIL called and we decided to put this together. As soon as that happened, people I had not seen in years came out of the wood work. I proposed a co-op kind of attitude with these different labels and it seems to be working. Some of them have alot of not so good acts but we have kept our label focused on what we think are groups that are a cut above and that we feel strong enough to get behind, like CINDY YOUNG who is phenomenal live, and ofcourse our affiliation with RAIL and we have another act called PICTURE YOUR OWN that i feel has 3 or 4 hits. *This kind of AOR you're playing is quite popular in Europe, have you tried to get in touch with some of the labels over here? Actually we've been aproached by several labels wanting to distribute over there. MIDNIGHT RECORDS in Italy and NOW AND THEN RECORDS/FRONTIER,and as I'm not that familiar with the European Arena I am negotiating with different sources as well as is Kelly. We are hoping to release over there as soon as possible. *Your music is pure 80s influenced AOR, which bands/artists influenced you? My very first influences growing up were the Beatles especially PAUL MCCARTNEY and THE BYRDS. Once I heard KANSAS I said this is it. STYX, SUPERTRAMP, BOSTON, JOURNEY, IAN LLOYD, FORIEGNER, MICKY THOMAS to name a few. *How's it going with the airplay of your CD, because this kind of 80s AOR is ignored all across America, right? You are absolutley right. The U.S. airwaves are totally controlled by the corporations that have esentially bought them up. You don't get airplay unless the choose to give it.It is truley unfortunate that the people in the U.S. have all this homoginized crap shoved down there throats. It is absolutly amazing that we are suppose to be the land of oppertunity and yet Europe is so far more progressive and open and the people actually have more culture and artistic choices than we do. The industry ignores these great acts but they still seem to be top draws.